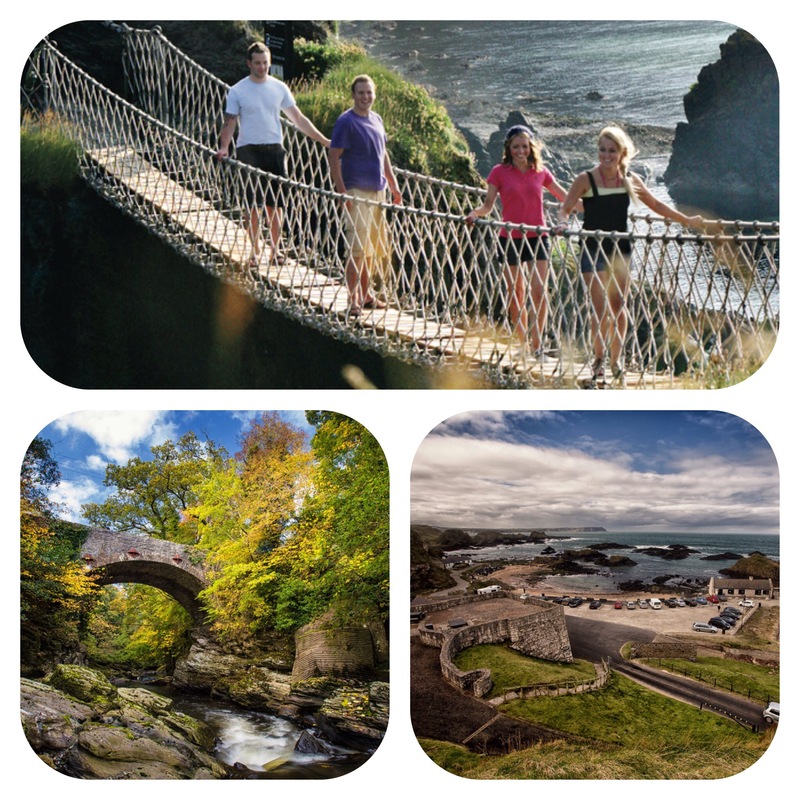 AUTUMN is almost here and the clear, crisp weather is the perfect time to plan a trip around Northern Ireland’s spectacular Causeway Coastal Route which starts in Belfast and stretches to Derry~Londonderry. Whether you are planning a day trip or a long weekend away, you can enjoy an exhilarating drive which will see you take in some of the most beautiful coastal views in Europe. “The weather may be getting cooler and the evenings darker but that doesn’t mean you can’t get out and about and discover some of Northern Ireland’s most stunning scenery. “Northern Ireland is simply bursting with scenic views, tourist hot spots, filming locations and off the beaten track gems just waiting to be uncovered so if there are places along the coast you have always wanted to visit, then now is the time to go,” added Rachel. Carrickfergus Castle is one of Northern Ireland’s most impressive monuments and one of Ireland’s best preserved medieval structures. Visitors can enjoy the castle throughout the year at fun family days out where they will learn about its colourful history. For breath-taking views, visit Torr Head, which forms Northern Ireland’s closest point to Scotland which is just 13 miles away. It’s a narrow road but worth the winding journey for the stunning views of Fair Head, Rathlin Island and the Antrim and Scottish coastlines. 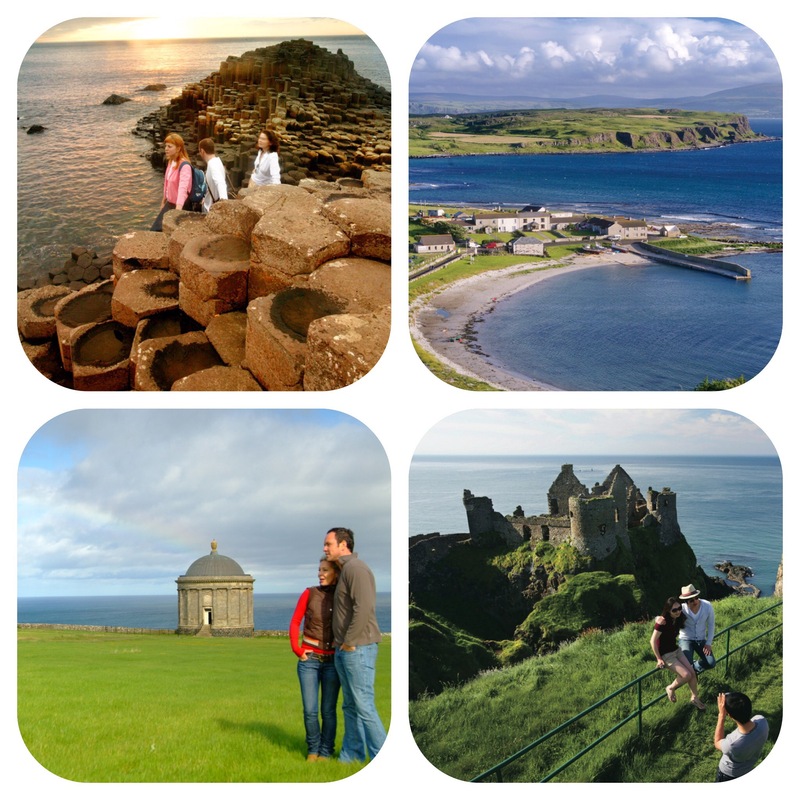 Bonamargy Friar is situated just outside the lively seaside town of Ballycastle and is the perfect place for a picturesque stop off on a tour of the Causeway Coastal Route. Look out for a memorial to Guglielmo Marconi who carried out the first tests on radio signals in NI in 1898. For a scenic and tranquil setting Roe Valley Country Park is ideal as it offers spectacular riverside views and woodland walks. The park is known for its abundance of wildlife, birds and Springtime wild flowers and visitors can also learn more about the industrial and natural heritage of the area in the museum and countryside. Keep a look out for the ‘Leap of the Dog’ feature and don’t forget to enjoy some refreshments in Ritters Team Room before continuing your journey. The Giant’s Causeway, renowned for its basalt columns, is the only UNESCO World Heritage Site in Northern Ireland and in 2015 was awarded the UKs Best Heritage Attraction at the British Travel Awards. The Giant’s Causeway is also steeped in myth and legend. Some say it was carved from the coast by the mighty giant, Finn McCool who left behind an ancient home full of folklore. A more recent addition is the innovative Visitors’ Centre, offering 360 degree views of the Causeway coastline, with exhibits and interactive spaces that unlock the secrets of the fascinating landscape. A short coastal footpath leads to Carrick-a-Rede Rope Bridge which boasts an exhilarating rope bridge experience. On the way, there are wonderful vantage points to stop and take in the natural beauty. The geology, flora and fauna have won Carrick-a-Rede recognition as an area of special scientific interest. Traditionally fishermen erected the bridge to Carrick-a-Rede Island over a 23m-deep and 20m-wide chasm to check their salmon nets but today visitors are drawn here simply to take the rope bridge challenge! Old Bushmills Distillery is the oldest working distillery in Ireland, based on the beautiful Causeway Coast. It is here that Bushmills Irish Whiskey is made. Take a guided tour around a working distillery and take in all the associated sights and smells. There are also tutored whiskey tastings available, a gift shop with exclusive Bushmills merchandise as well as a specialist whiskey shop. A whiskey or soft drink in the 1608 Bar is offered at the conclusion of the tour, with Bushmills-inspired treats available in the restaurant throughout the day. The ruins of Dunluce Castle are an iconic sight on the dramatic coastal cliffs, and tell the story of a long and turbulent history. Visitors to the castle can learn of its story filled with drama, legend and intrigue dating back to the 16th century. An audiovisual tour of the castle is available, with a treasure hunt encouraging younger visitors to explore. A Dunluce Castle app is also available free of charge from the App Store and Google Play. Experience the dramatic setting of Downhill Demesne which was the romantic vision of Frederick Hervey, an 18th century Earl Bishop of Derry. Mussenden Temple is also located on the grounds of the Demesne near Castlerock and perches dramatically on a 120 ft cliff top, high above the Atlantic Ocean and offers spectacular views over Downhill Strand towards Magilligan Point. Both the Temple and the surrounding views are among the most photographed scenes in Ireland so visitors should be sure to go along and capture their own memories. Ballintoy Harbour can be found in the picturesque village of Ballintoy. The village itself, which is just one kilometre from the harbour, has a charming array of small shops, two churches, including the quaint white Ballintoy Parish Church on the hill above the harbour, as well as accommodation, restaurants, commercial and social facilities. For those looking to capture a true sense of Irish rural life, it is an ideal stop over whilst touring the coastal route. Stargazing, Carrick-a-Rede, Ballintoy, October 15. Always had an interest in astronomy but struggle to tell the difference between the Ursa Major and Ursa Minor? Why not come along and discover the Cosmos and the Constellations. You may even be lucky enough to spot a shooting star on the night, or maybe even the Northern Lights. Members from the Northern Ireland Amateur Astronomy Society will bring equipment and are on site to guide you providing plenty of opportunities to ask questions. Rathlin Island Tour. Take a high speed boat tour of the iconic Causeway coastline. Leaving from Portrush harbour, the tour will travel along the Causeway Coast, visiting the Skerries, Dunluce Castle, the Giant’s Causeway, White Park Bay, Ballintoy, Carrick-a-Rede Rope Bridge and then over to Rathlin Island to the bird sanctuary and the West Lighthouse. Bring jackets, binoculars and cameras. Foraging For Food, St. Patrick’s Church Car Park, Cushendun, October 1. Come along and explore this beautiful woodland in the company of forager Glenn White. You can find out about edible plants, what’s safe to eat and what’s not. Discover a multitude of edible goodies and learn how to make wild garlic pesto, nettle soup and a whole variety of wild salad and greens – all this and nature too. Pre-booking is essential. Northern Ireland Potato Festival, Causeway Hotel, Bushmills, October 1. The Festival showcases all that is local, fresh and seasonal, bringing together the public and the farming community in celebration of all aspects of the local potato industry. The Potato Festival is held in a region known and respected for the strength of the local agri-food industry, world-class food and beautiful scenery, and is free to members of the public. Come and enjoy a day out for all the family, with something for everyone to enjoy including food tasting, face painting, games and lots more. Free Community Open Day, Giant’s Causeway, October 1. Discover the world-class Visitor Experience at Northern Ireland’s first World Heritage Site for free. Take a guided walk with one of the rangers and explore the stunning scenery. This also includes face painting, balloon modelling and Park and Ride service from Bushmills to the Giant’s Causeway. For more information on things to see and do in Northern Ireland go to http://www.discovernorthernireland.com, http://www.facebook.com/discovernorthernireland or http://www.twitter.com/DiscoverNI.